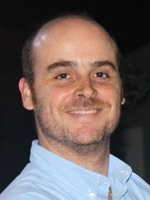 Flávio Rodrigues F. Chaves received the Eng. Dipl., the MSc degree and the PhD degree from the University of Coimbra, Coimbra, Portugal, in 1998, 2002 and 2017, respectively, all in Mechanical Engineering. In 2001 he joined the Polytechnic Institute of Tomar, Portugal, where he is currently an Adjunct Professor. His main research interests are related to thermal efficiency, thermal comfort, air quality, heating, ventilation and air conditioning systems. Chaves, F.; Vieira, A. C. V.; Antunes, J. M.; Coelho, C. C.: ''Indoor Air Quality, Thermal Comfort and Energy Efficiency Constraints - Case Study for an Educational Building''; IAHS World Congress on Housing: Sustainable Housing Construction, Albufeira, Portugal, pp. 1-10, September, 2016. Vieira, A. C. V.; Garcia, J.; Chaves, F.; Fonseca, N.; Caetano, J.: ''Indoor Air Quality, Thermal Comfort and Energy Efficiency Constraints - Case Study for Public Health Care Building''; IAHS World Congress on Housing: Sustainable Housing Construction, Albufeira, Portugal, pp. 1-11, September, 2016. Chaves, F.; Vieira, A. C. V.; Antunes, J. M.; Coelho, C. C.: ''Simulação do Escoamento do Ar e Distribuição de Temperatura numa Sala de uma Unidade Industrial''; VIII Iberian Congress | VI Ibero-American Congresso on Refrigeration Sciences and Technologies, Coimbra, Portugal, pp. 1-7, May, 2016. Chaves, F.; Vieira, A. C. V.; Antunes, J. M.; Coelho, C. C.: ''Análise das Condições de Conforto Térmico e Qualidade do Ar no Interior de uma Sala de uma Unidade Industrial''; VIII Iberian Congress | VI Ibero-American Congresso on Refrigeration Sciences and Technologies, Coimbra, Portugal, pp. 1-8, May, 2016.